Custom Dog Collar Add-On handmade in California! **Please note this is for the Chick add-on only! No dog collar is included! 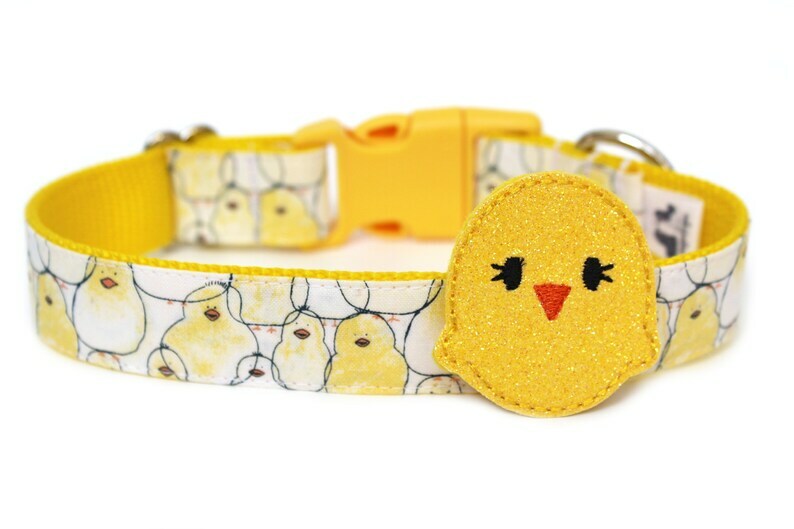 Adorable and sweet dog collar spring chick add-on! I can only make martingale attachments for 1" wide collars! Beautiful for photo props, weddings, birthdays, holidays, and all around spoiled dogs! *As responsible pet parents, you should always watch your dog when wearing accessories as some can be a choking hazard or might get ruined during rough playtime.